Just a very quick posting to alert people who may not follow me on twitter that a secret project very close to heart has started being published on the VMware Communities site. It’s been an idea I’ve had for a while and since I was blessed this year by being selected as a vExpert for 2011 it gave me the perfect opportunity to do it. The first posting http://blogs.vmware.com/vmtn/2011/08/vexpert-spotlight-gregg-robertson.html has just come out and as mentioned in the posting,we are hoping to have as many of the 2011 vExpert’s instalments published as possible. So keep an eye out as some of the top people in the virtualisation industry have already sent me theirs and there’s some really great tips from all involved. 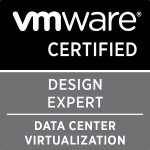 Categories: Social, Virtualisation | Tags: vExpert, vExpert 2011, vExpert Spotlight, VMware | Permalink.